I am Cristian Espenilla, 27 years old, born on June 24, 1984 and a resident of Real, Monreal, Masbate. I was at the Labor Day Rally on May 1, 2008 at Masbate City when I was arrested and charged with Murder. The authorities imprisoned me at one of their camps for one whole week. It was there where they physically and psychologically abused me, torturing me in order to make me admit to the various accusations that they have falsely created. After this, they then transferred me to the San Jacinto District Jail where I stayed for three years. 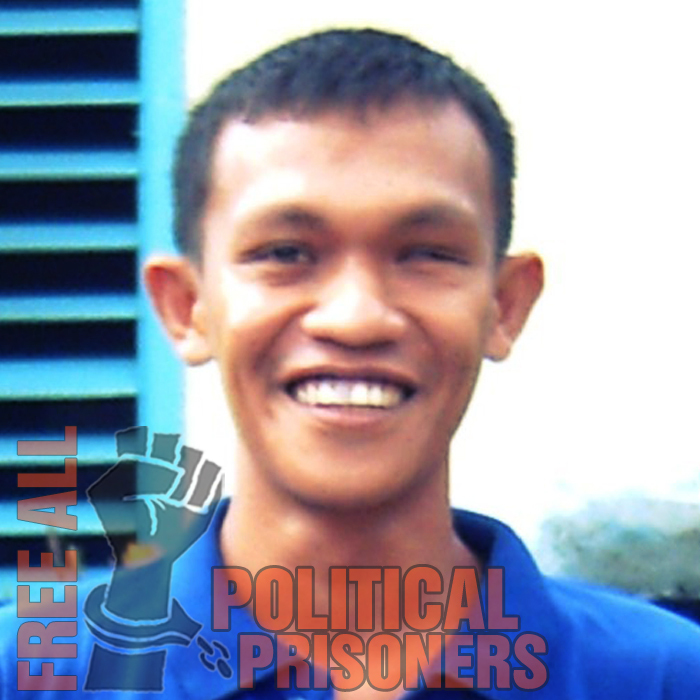 When the court gave out my sentence, I was moved to the Medium Security Compound at Muntinlupa City on March 15, 2011. 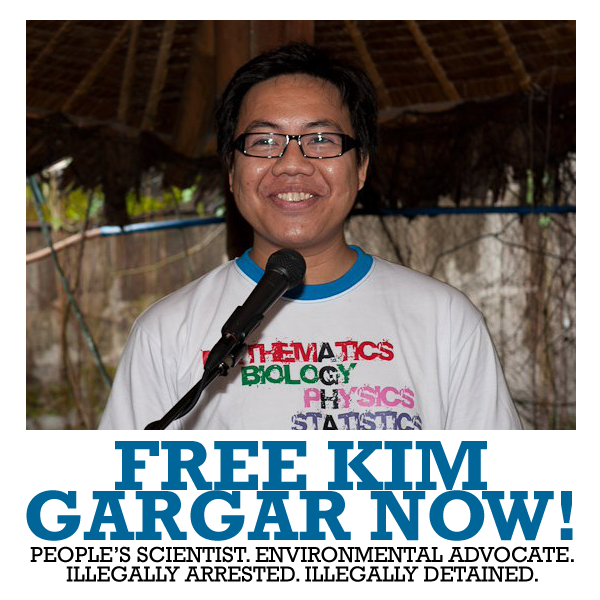 I have been incarcerated in Muntinlupa for more than a year now. While inside I have successfully continued my education and as a matter of fact I am now a 4th year High School student in the Muntinlupa National Extension High School. However, just this April a new case has been charged against me. I am being accused of taking part in a bombing of a Globe cellsite in Uson, Masbate. My sentence is 8 years and 1 month to 14 years, 8 months and 1 day. As of now I have been in prison for 4 years already, I was an NPA before and because of this a lot of charges are being filed against me. The sad thing is that I have not committed any of them. All these charges which is supposed to be subsummed as political offense according to Hernandez Doctrine is illegally turned into criminal offense.